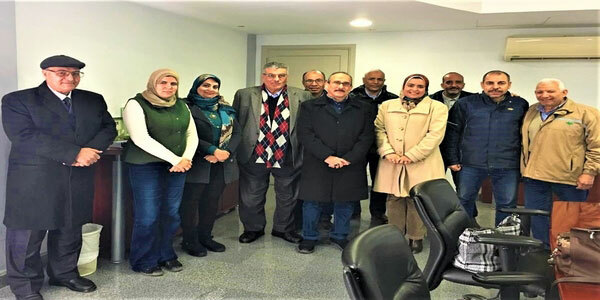 A delegation of the Petrochemical Engineering Department, comprised of Prof. Mohamed Fahim, the head of the department and a number of academic staff members paid a visit to the Nile Company for sugar extraction on Thursday, 3 January 2019. The delegation was received by Eng. 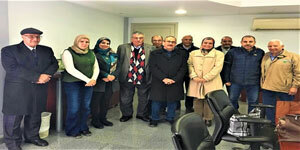 Bahaa El Gendy, the Chief Manufacturing Officer, along with a number of major members of the Nile Company. During the visit, the two parties exchanged ideas about promoting cooperation between the two institutions in many activities like providing training for PUA students, facilitating researches and helping in tackling industrial issues in a way that would benefit the two parties and the society as a whole.